Welcome to our 28th IAEG Connector, the electronic newsletter connecting engineering geologists around the world! We had another exciting week geologically around the world with two large earthquakes in Alaska (USA) of 7.0 and New Caledonia of 7.5 magnitude. Plus, it was released that Teheran, Iran, is subsiding at a very fast rate because of groundwater withdrawal. See the news items below! I would like to introduce another new vice president for Asia to you, Professor Tang Huiming of China. He is not only a professor of engineering geology, but also chair of the department and Vice President of the China University, which is one of China’s most prestigious universities in our field! See his photo and biography below. All new officers start on January 1, 2019. I would like to congratulate Dr. Eng. Hany Farouk Shehata and his staff for a successful second GeoEast2018 International Congress in Giza, Egypt, in front of the famous Pyramids! We have been advertising the conference weekly in the Connector. 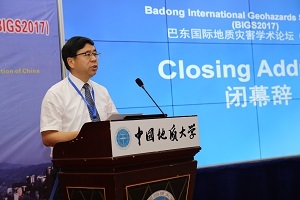 It was held from Nov. 24-28 and the theme was “Sustainable Civil Infrastructures." Some IAEG members attended this great conference where there were 900 experts from 71 different countries. They had 800 abstracts, 250 presentations and 300 accepted full papers that were published by Springer in 16 volumes! Congratulations! Dr. Tang Huiming is the Chair Professor of Engineering Geology and vice president of China University of Geosciences, the most prestigious University in Geoscience field in China. 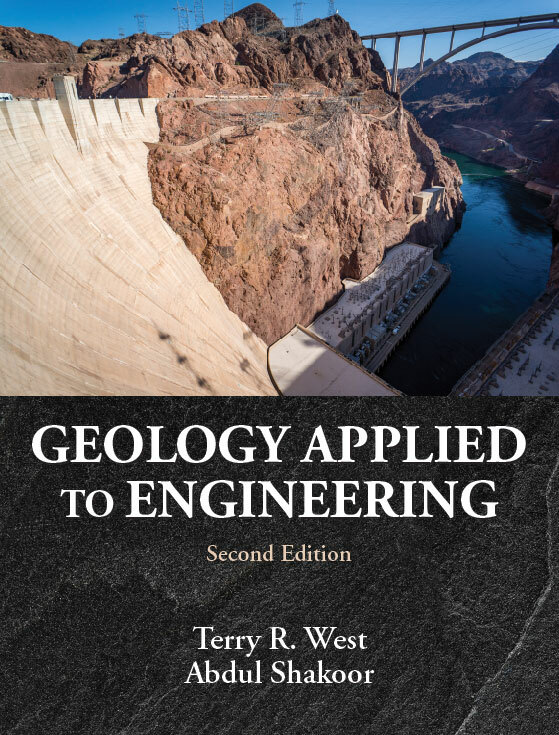 He is an outstanding Engineering Geologist in China, and has been enrolled in this field for over 35 years. 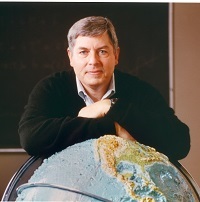 He is specialized in prediction and control of geohazards and engineering geological modeling. He has been awarded some important national awards, i.e., National Teaching Master Award, and the national highest level prize in the field of Geological Sciences — Li Sukuang Prize, etc. He has presided over several national and sino-foreign cooperative research projects, such as National Key Basic Research Program of China ("973" Project), National Key Research and Development Program of China (NKRD Program) and Key Program of National Natural Science Foundation of China (K-NSFC). He has participated in the scientific research works of a number of large-scale projects of water conservancy, hydropower, road, bridges, tunnels and high slopes, achieving fruitful results in the application of geological disaster prevention and engineering rock mass stability evaluation.